Scary goalkeepers, magical midfielders and sublime strikers: the ever-changing cast of the Champions League never fails to entertain. The Champions League is the most important club competition in the world. 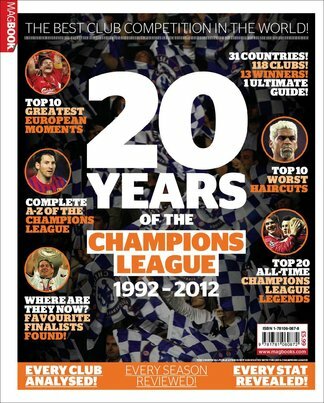 This guide will tell you everything you need to know about the best football competition on the planet and will certainly whet your appetite for 2012. We pay homage to 20 Champions League Legends from Ronaldo to Zidane – and compile various top 10s from Memorable Moments to Follicular Fails. Be the first person to tell us what you think about Champions of Europe: 20 years of The Champions Lea and you'll save $5 on your next purchase!